Best of the Best SATURDAY 4/14! 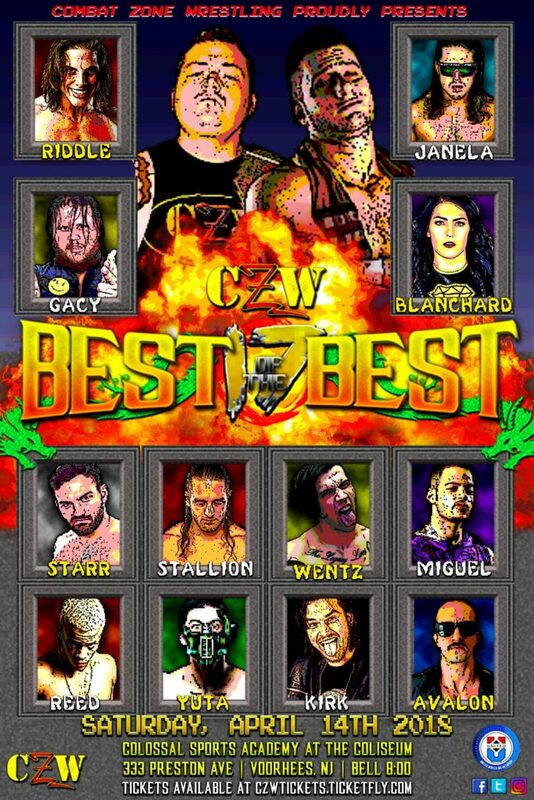 CZWrestling.com – After a jam packed “Welcome to the Combat Zone” in New Orleans, CZW heads into “Best of the Best” THIS SATURDAY, 4/14 at Colossal Sports at The Coliseum, 333 Preston Ave in Voorhees, NJ at 8 pm. CZW World Tag Team champions The Rep (Dave McCall, Nate Wallace) w/ Maven Bentley take on Storm of Entrails (Dan O’Hare, Shlak)!